I love my kids, but I hate being a mom. Now, before you get upset, please hear me out. None of my kids were planned, but they were all wanted, and they are all loved! I was seventeen when I got pregnant with my oldest... I spent the first six months of my pregnancy trying to hide it, and wishing that I wasn't pregnant. But, when the doctor put that beautiful baby girl in my arms... it was love instantly. Faith was my everything, my reason for living, and the sunshine of my day. Funny story... One day, my hubby said, "Lets make a baby..." We did. He couldn't believe that it worked the on the first try.... and in 9 months our son Wyatt, was born. It was a hard pregnancy, and a very difficult, and long labor. He was a big boy with medical, and special needs from birth. But, I loved him. Three years later, our last daughter, Adilayia was born. There is no physical way that she should even exist, but I often say God knew we needed her laughter, and lightness in our family. And although we thought we were done having kids, I loved her too. Although I love all three of my kids.... I do not enjoy being a mom. I don't like to cuddle, or read stories, or have picnics, or do park days. I don't enjoy singing kids songs, or doing crafts. I don't do birthday parties, or kid sleepovers. I don't like playing make believe, or playing games. We don't do sports, I am not a chauffeur. I don't like cooking for a family of five, or having my house messed up with toys. I don't let my kids climb into my bed with me. I don't do cute clothes, or hair in ribbons and bows. I don't like hugs, or them being clingy. I don't like keeping everyone happy, or listening to their wants and needs. I hate helping them with homework. Things like getting them ready for school each day, and just having them around me is hard. I don't like being responsible for another person's actions, or knowing that it's up to me to teach them how to grow up to be a responsible member of society. I don't enjoy comparing notes with other moms. I never feel like I fit in, or measure up. You know the moms who, when talking about their children, melt into this a puddle of starry-eyed goo. Their children are just so precious, so amazing, so awe-inspiring. Those little angels can do no wrong. Um, let me insert here... if that's you, I have seen your kids.... they are little devils, and you are not fooling anyone! I'm not proud of the fact that I hate being a mom... but at the same time, I don't feel guilty about it either. The bottom line is that motherhood is not a job I enjoy overall, nor is it something that I would choose again. Parenting is difficult for me. I struggle. I have a longing for my “old life,” and a suspicious sense that I am playing a role that I was never meant to play. I make mistakes. But, I also do a lot of things right. And, being honest about it- the part I hate, and the things I do right... and accepting all my feelings - good and bad, gives me permission to do motherhood differently. And that's okay! Yes, I know I will be judged by the childless, the sanctimommies, and the empty nesters. But, I think there are other moms out there that feel the same way. The problem is that society tells us that if we feel like this, there's something wrong with us. That we are supposed to be quiet. That to say you don't like being a mom is wrong. I say enough is enough. If you love being a mom, that's great! It really is. But, please don't make those of us who don't enjoy being a mom feel ashamed. And, if you hate being a mom.... know that you are not alone! And that it's okay. 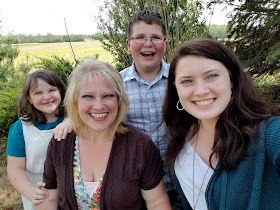 While I don't enjoy being a mom, I love my three kiddos, and I will keep on loving them, and soon they will be grown, and gone, and life will change. And as much as I know I will miss them, I am counting down the years, because I can't wait!!!! Who's with me?!? !